HomeQuadrature Sampling Detector Phasing Receiver – 2MHz to 15Mhz range – NO TUNED CIRCUITS! 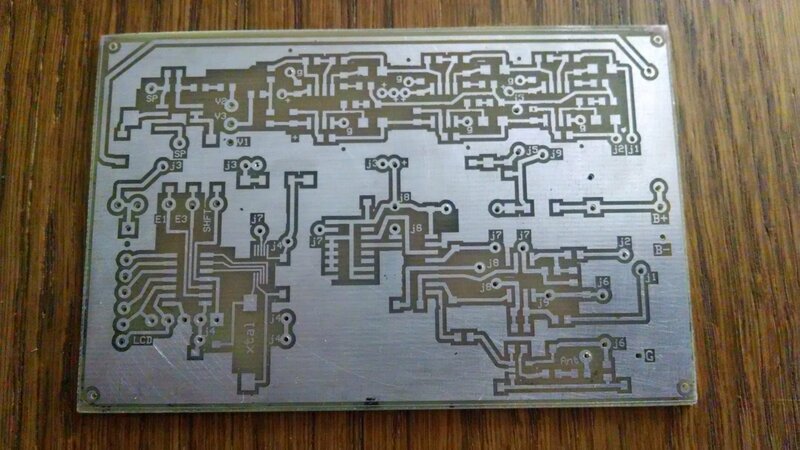 None of your “fileswap.com” links for the printed circuit board layouts to this project and the other regen receiver featured on this RF page work. Using two series plls will allow local error correction via their ” I/Q” outs ….. any jitter/phase errors from the PLL 1 “I” 0/180 and PLL 2 “Q” 90/270 can be neatly compensated….possibly via that DSP. I would also suggest the sample “window” of the RF input switching array could be usefully varied depending on signal strength …. PWM as a function of AGC and noise…. a feedback loop also from the DSP perhaps? Multiple reads…. oversampling and averaging here may appear to decrease noise on weak sigs? With the internal “reverb” memory available in the FV-1, it may be possible to use this as an audio frequency/pitch correction also, or even perhaps to delay /advance the !/Q phases on the fly? This project is fascinating, thank you for documenting this. 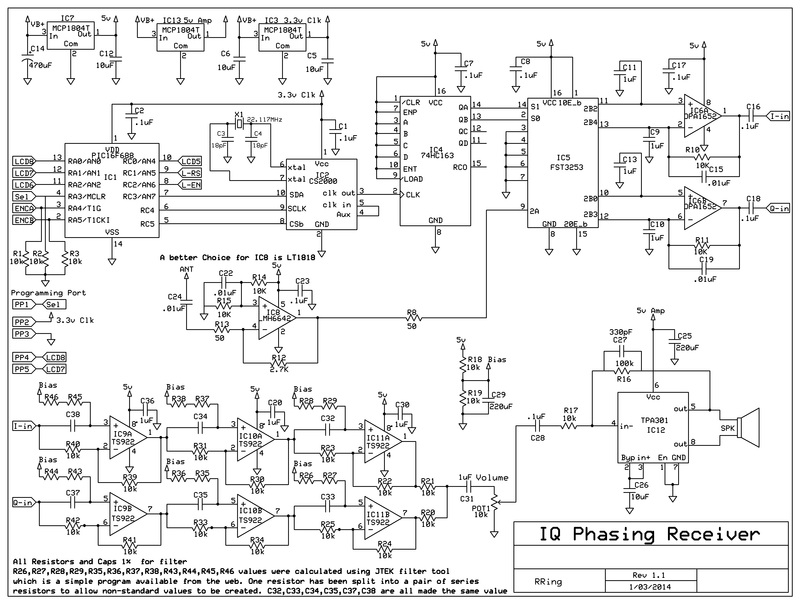 Some neat ideas…the FV-1 has some limitations so not sure how much you could implement – having said that – I only fiddled with it for about a week and moved on – I need to revisit the whole design and see if I can improve my DSP code etc. Your pll approach is compelling but you can get clk generators for 2 bucks now that can go to 100’s of MHz so why go to the trouble?…at least for HF. I guess I am sort of lazy and go for simple over eloquent – would be fun to get it working though! A possible way out to not have the X4 vfo is to have the normal and inverted VFO outputs into two PLLs…the 74HC4046 springs to mind. These will lock at 90 degrees to the VFO complimentary outputs giving the required 90/270 outs to your mixer and will track the original frequencies. If i had more time, id give it a go myself………. I would very much like to download that PCB and the code examples. Is it possible you think? You can mail them to me or post a link, or mail a link… you get it.